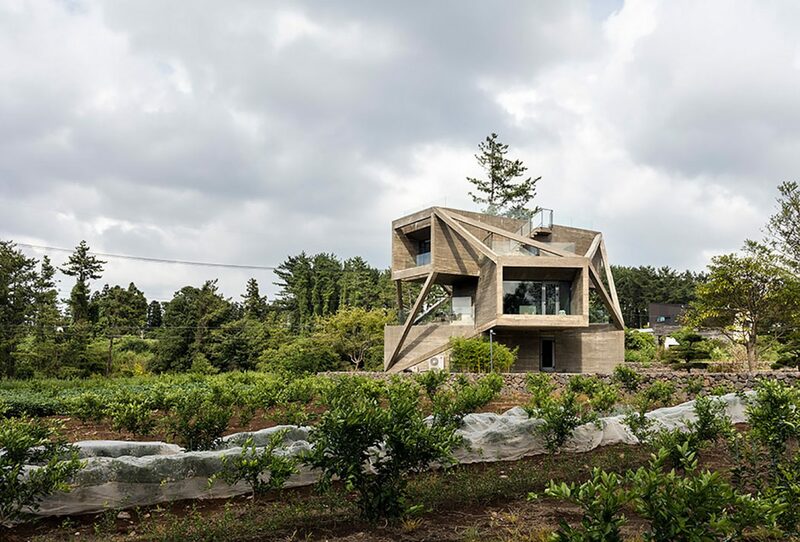 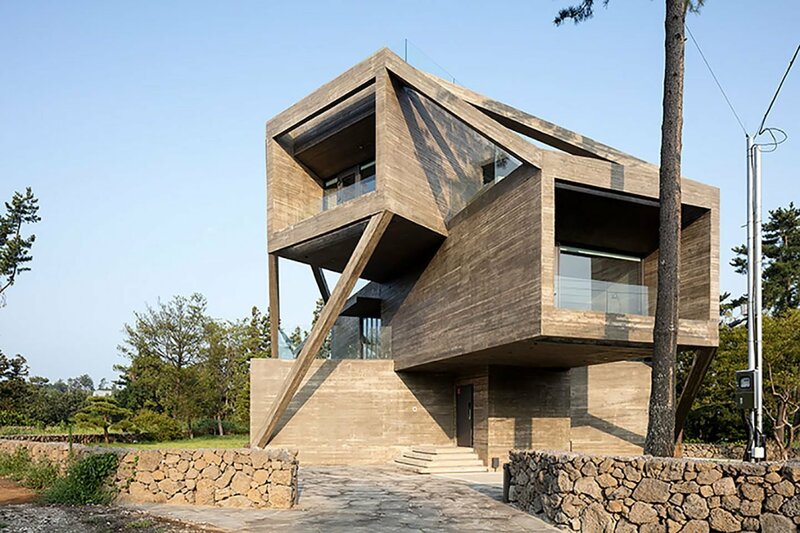 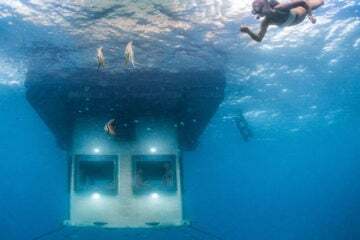 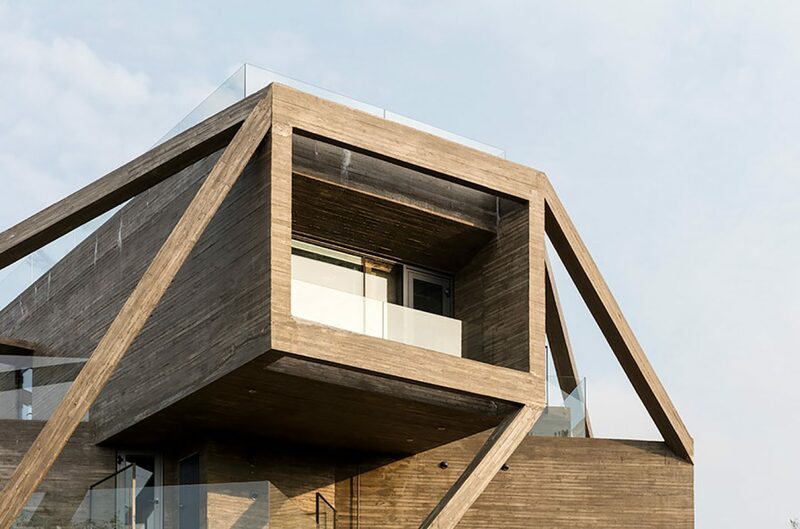 Situated on the South Korean island Jeju, the ‘Simple House’ was created by Seoul-based Moon Hoon, ironically presenting anything but uncomplicated architectural form. 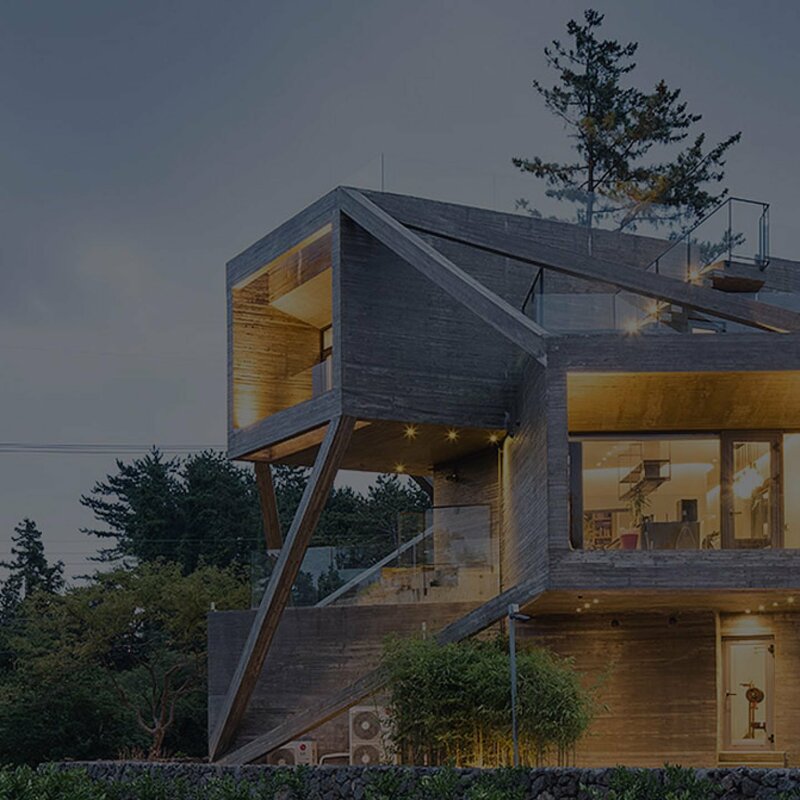 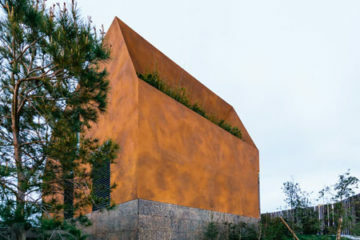 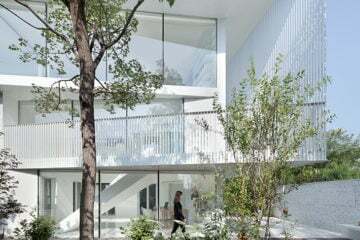 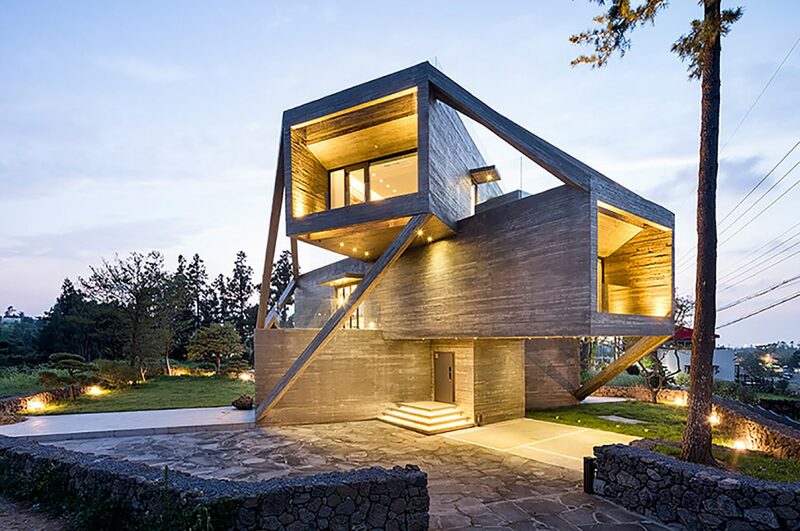 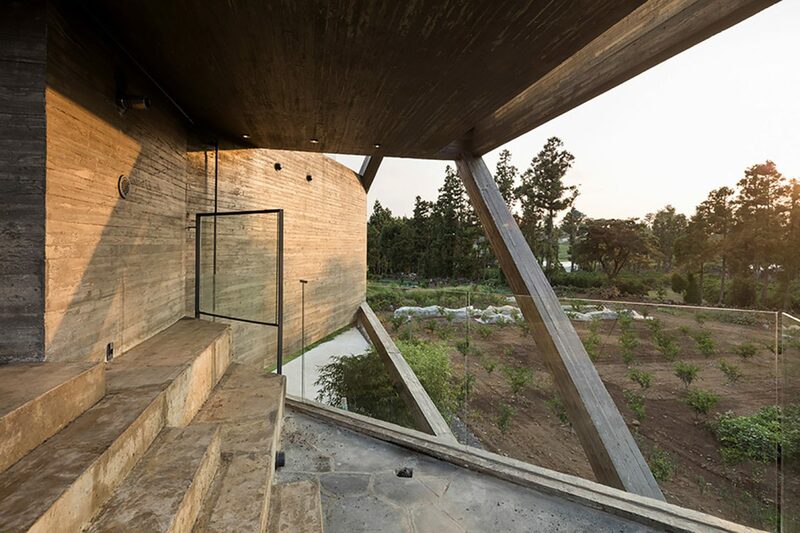 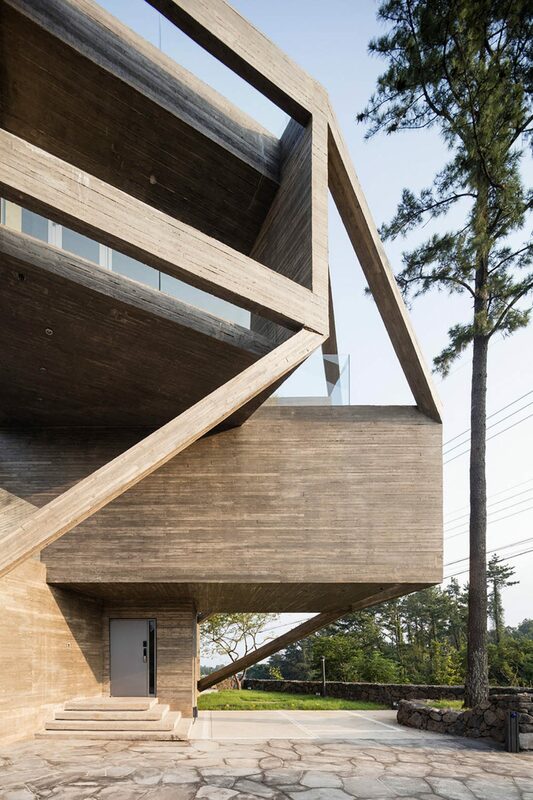 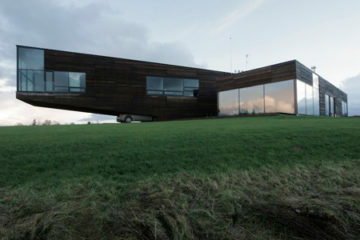 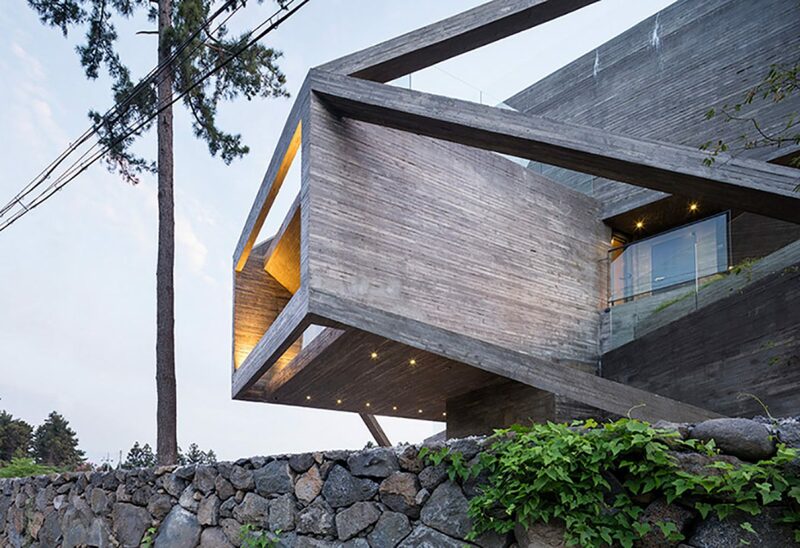 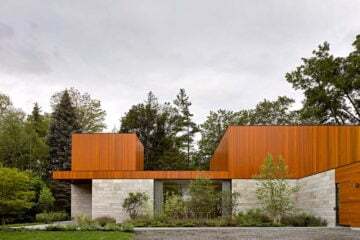 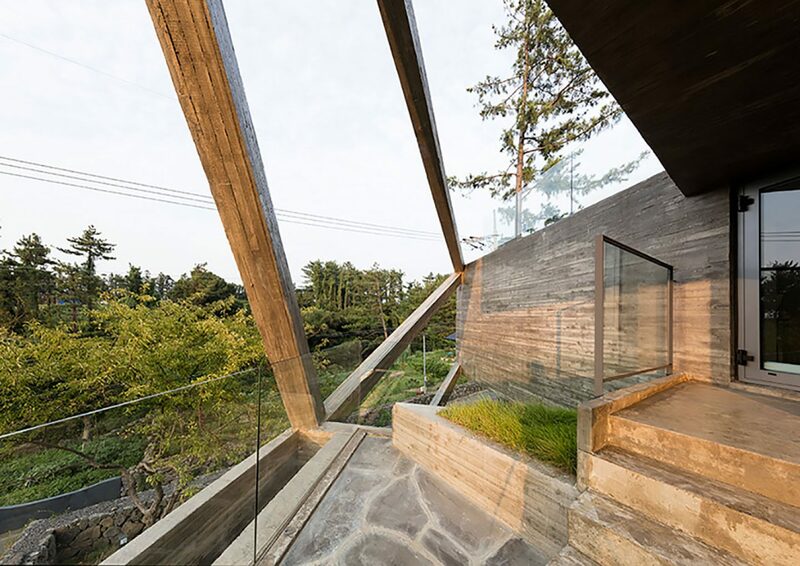 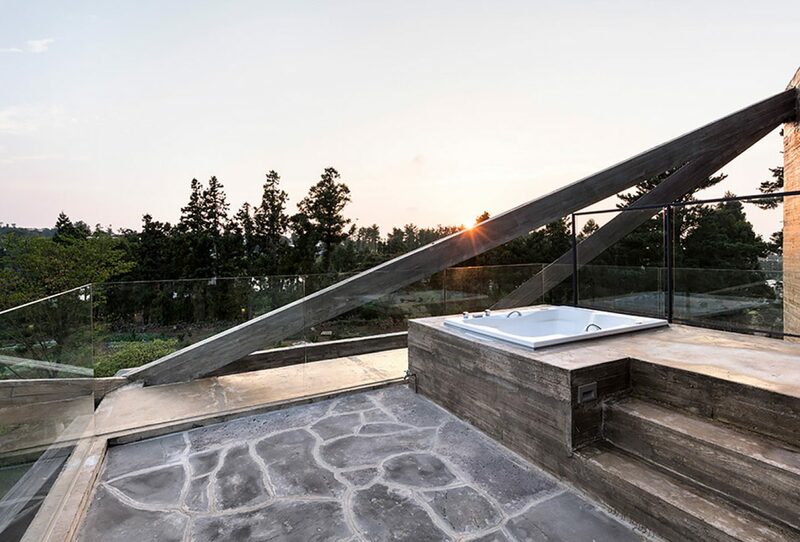 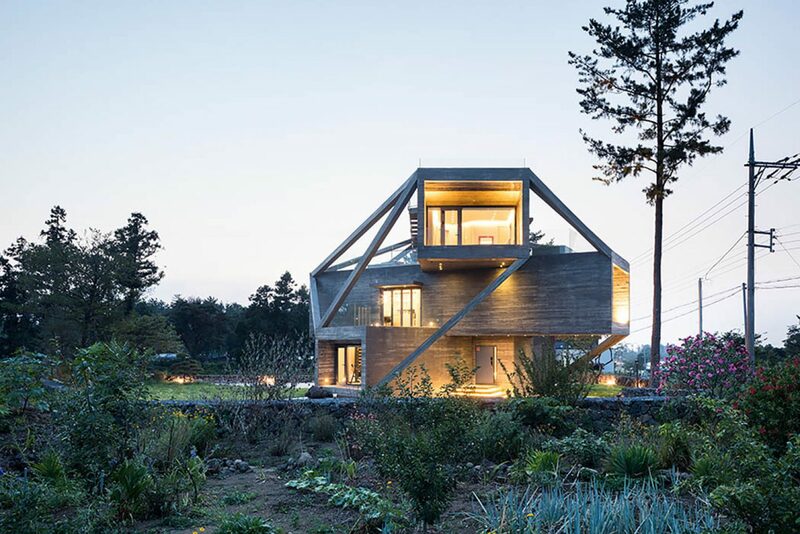 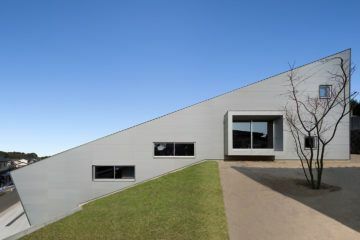 The three-storey home has an intricately designed exterior, with multiple concrete volumes that offer the residents multiple look-out points for the surrounding natural environment. 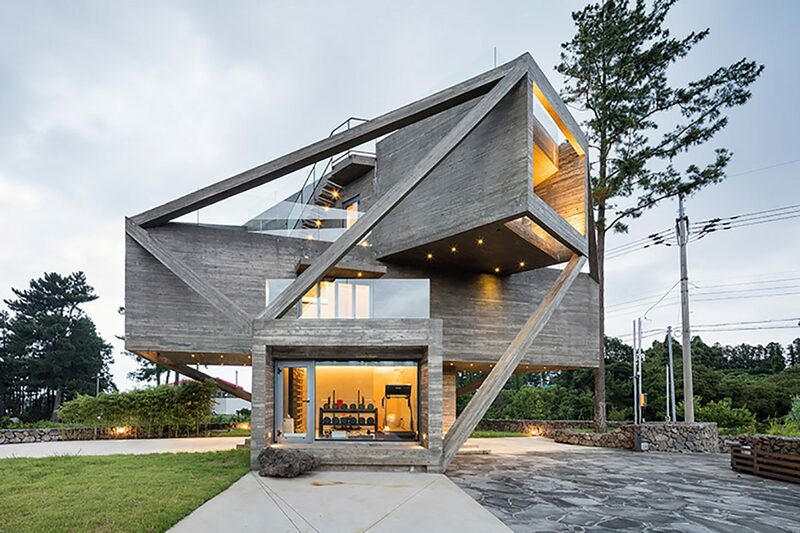 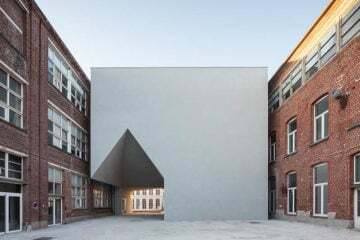 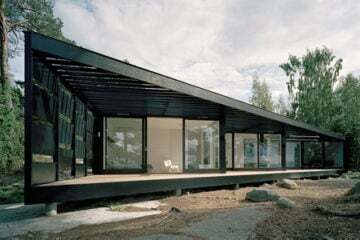 As a solution to the building withstanding the region’s strong winds, an angular structure of concrete beams has been employed to support the building’s innovative but seemingly precarious form. 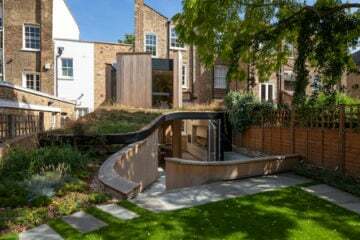 ‘Simple House’ offers a contrasting presence with the green landscape, but the environment is welcomed through the incorporation of numerous verandas and an outdoor area on the rooftop. 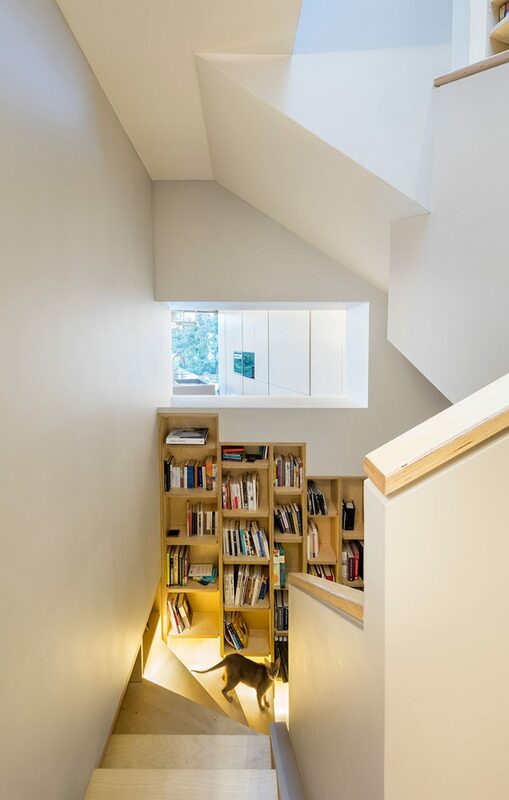 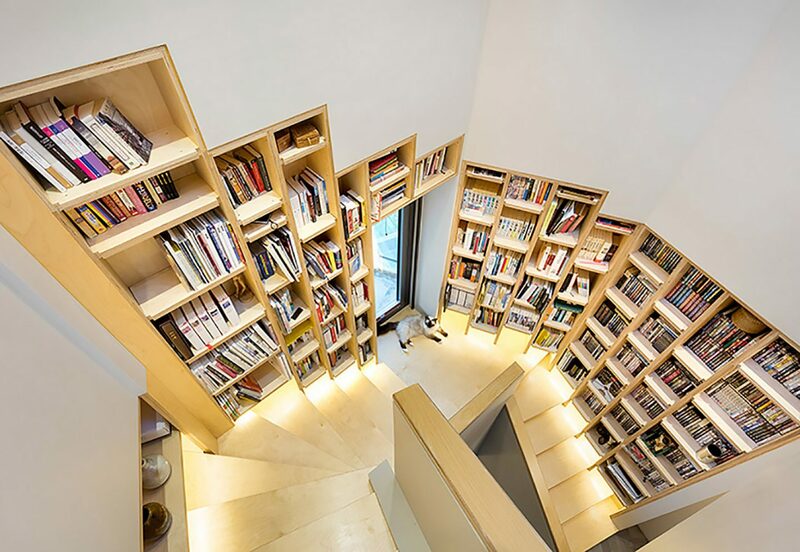 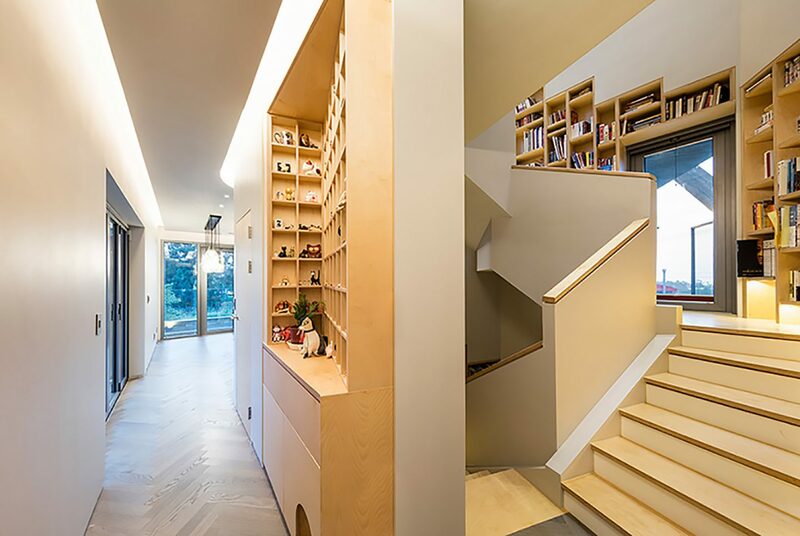 A centralized staircase connects the three levels of the house, also incorporating a library space through the use of built-in shelving units. 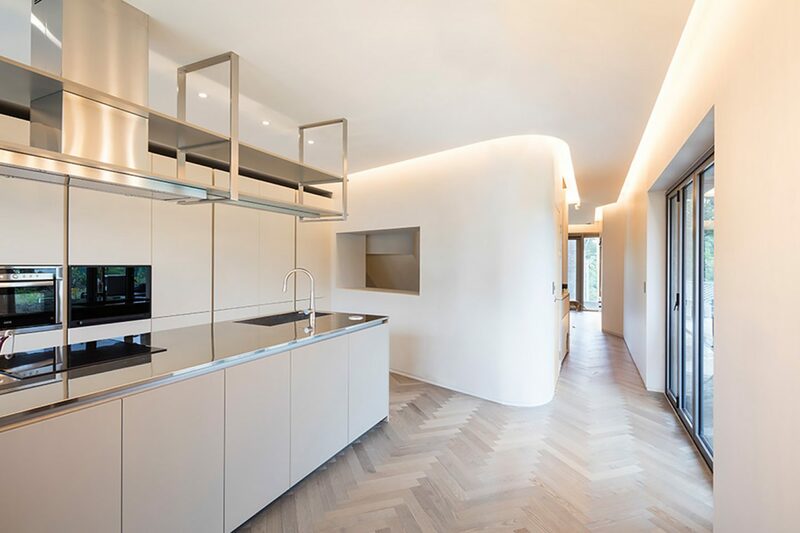 ‘Simple House’ features a large open plan living space and kitchen, alongside secondary lounges, bedrooms, an outside dining area and hot tub, fulfilling the client’s request for a home of ‘showy’ and ‘extravagant’ design.